What is a mowing strip? 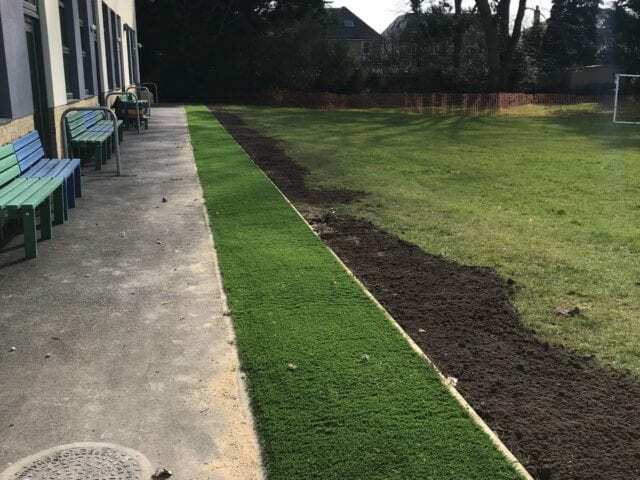 Not every project calls for a full installation of grass, sometimes it’s only installed where it’s going to make the most difference to the customer. 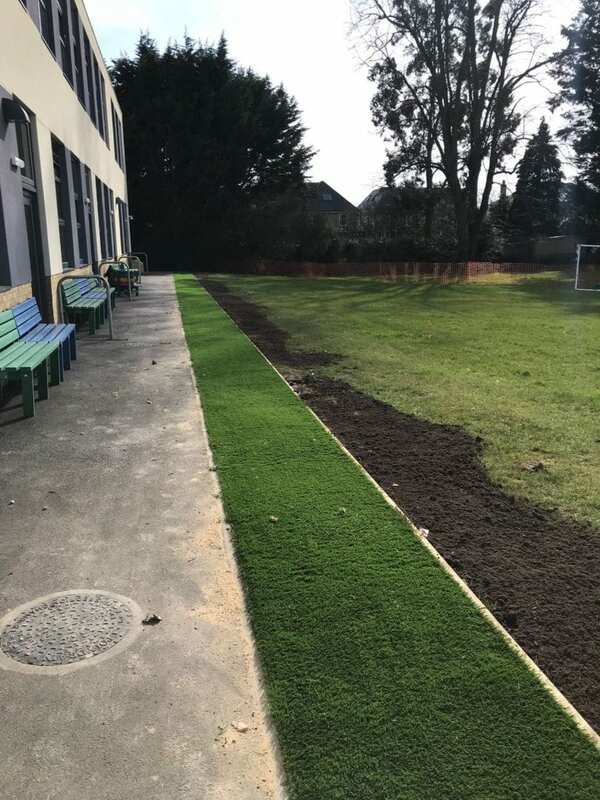 If you’re installing artificial grass next to natural grass you might want to make an obvious distinction between each area. Why would you want that? 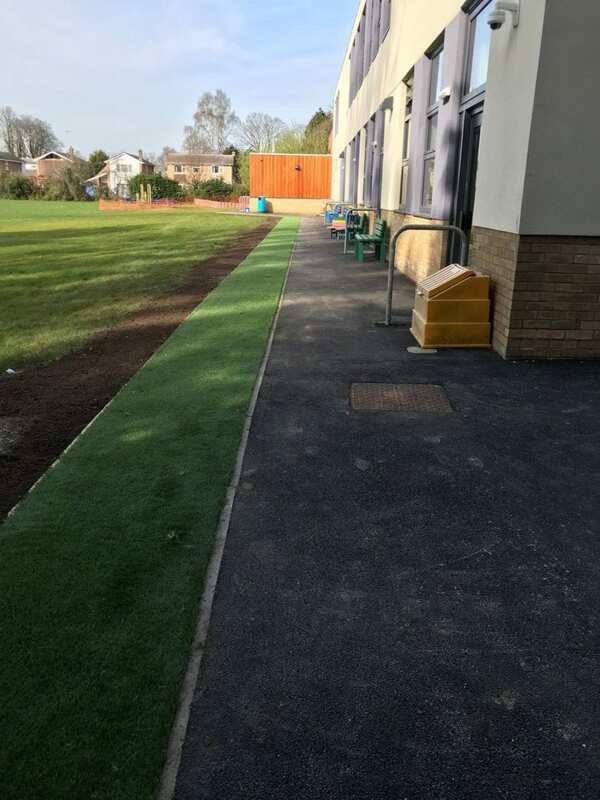 To make maintenance of both areas easier, and to prevent accidental damage to one side by trying to maintain the other! 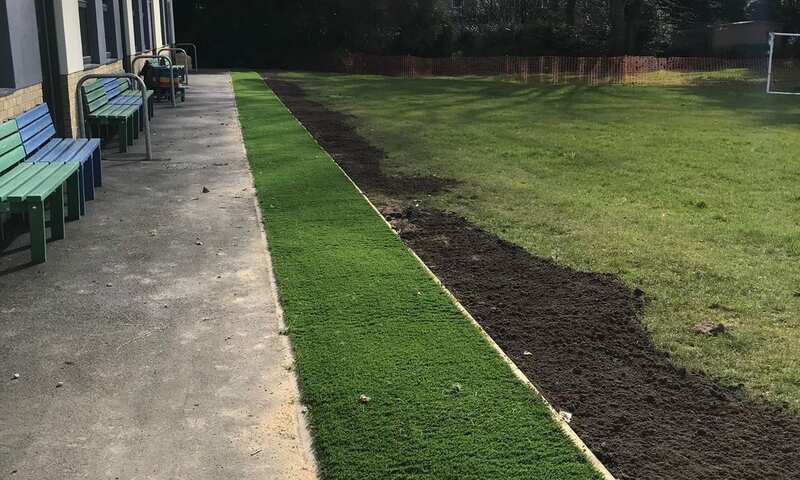 A mowing strip is a secondary strip of edging that re-enforces the limit line between areas and helps prevent the artificial grass from being damaged by an accidental mowing. This is additional to the timber used for the perimeter of the installation. Essentially two pieces of 2×2 are placed alongside each other but one is raised by an inch. This makes it so you can diagonally screw it into the other piece to secure it, but it also creates a lip for the lawnmower wheels to run into. That way the lawnmower can both see and feel when about to cross into the other section. 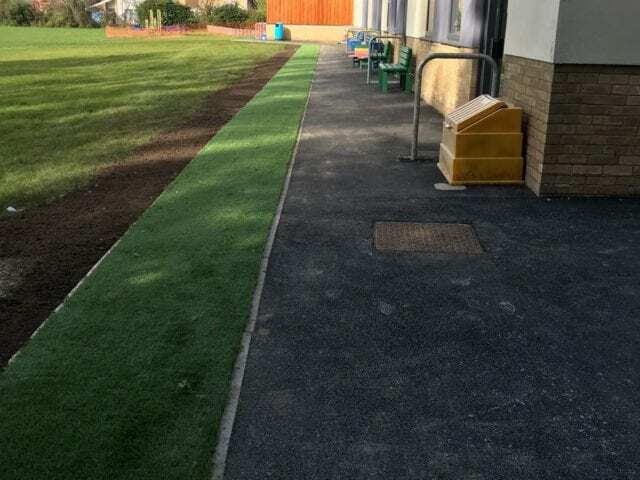 We installed at this school to prevent the groundsman from accidentally shaving the artificial grass when taking care of the field. And if you want to see what that looks like check out this story from the U.S!